The Harcourts Dinsdale Office was established in 1999 and at that time became the fifth branch to open in Hamilton under the Harcourts Brand. The office essentially services the area west of the main trunk railway line encompassing the suburbs of Frankton, Dinsdale, Western Heights, Grandview Heights and Nawton. With an experienced and stable team of consultants the Dinsdale branch is responsible for marketing and selling properties in this popular area with many attractive & diverse educational and shopping facilities. The office is located in the Dinsdale Shopping Center on Whatawhata Rd which is the gateway to western rural & lifestyle blocks & a 40 minute drive to the quaint and Vibrant seaside town of Raglan. These Five words describe Murray Friend: COMMITTED APPROACHABLE RELIABLE PASSIONATE ENGAGING Murray Friend epitomises the integrity and hard work that is required to be a successful real estate manager, auctioneer and sales consultant. Murray was appointed to the position of Licensed Branch Manager at Harcourts Dinsdale office in January 2017. This appointment not only reflected Murray’s enthusiasm and commitment to Harcourts, but his ongoing personal commitment to continuing education. Murray has achieved his personal goals within the Real Estate Profession by obtaining his Auctioneer’s Licence and Branch Managers Licence. Murray is a consistent top Licenced Sales Consultant and has been an energetic and loyal team member since he started at Harcourts some fourteen years ago. Murray’s focus is strongly on customer service first and foremost, coming from a genuine and sincere love of helping his clients to archive there Real Estate dreams. Murray’s strong and dedicated repeat customer base is a big part of his success. Needing guidance onto the property ladder. Murray’s experience guarantees informed decisions needed to make this process successful, is provided by precise data on the current market shifts, developments and property values. Murray’s social time is often spent giving back to the wider Hamilton community. He is an active auctioneer involved in many non-profit organizations like Hospice Waikato and numerous fundraising Charity Auctions within the Waikato Region. Murray (an avid rugby supporter) is a past committee member (of 20 years) of Te Rapa Rugby Club. Due to his commitment to rugby he has been Club Captain, Chairman, Sponsorship Coordinator, Coach and Senior Rugby Referee. Give Murray a call today on 0274915542 and “seize your moment” and archive your Real Estate Dream. Property is an industry where market conditions change frequently, trends come and go, and the tools and resources available to agents adapt and move forward rapidly, the one constant you can look for in an agent amongst all this change is honesty and integrity, something Barry has in abundance. His years in the motor trade has given him the ability to interact and create meaningful relationships with his clients, Barry is from a farming background where he was taught that hard work was the way forward, this he carried forward to his first chosen career in the motor trade, when he eventually purchased his own workshop he carried these values through, this stood him in a sound position to provide the type of service and dedication that he now brings to his real estate career. With a can do will do approach to life, rugby, cricket, motor racing and fishing are his down time pleasures, so if you are looking for a real estate agent who is hard working, committed to providing top quality service with a smile in all aspects of real estate, with ultimately the best results for his clients, then look no further than Barry. Bridget, a Licensed Real Estate Salesperson for past eleven years within Hamilton, treats her clients how she likes to be treated - with politeness and honesty. Bridget works at creating a comfortable environment for both her sellers and buyers. Long-standing clients appreciate Bridget’s genuine enthusiasm, straightforward approach and natural warmth when working with her. Bridget understands the often complex course of any real estate transaction, which for some sellers and buyers can be rather daunting. Bridget works extremely well with all real estate professionals, solicitors, trade-personal and multiple individuals to diminish stress and make the process flow for her sellers or buyers when negotiating and finalising their sale or purchase. Formerly a trained nurse from her home town - Whakatane, Bridget has a strong background in customer sales and advertising marketing – which included working for Wilson and Horton for 10 years as a senior newspaper advertising consultant within Hamilton. Coming from a strong farming background, Bridget’s leisure time includes gardening, drawing with water-colour, graphic design, and amateur theatre. Bridget is a long standing Justice of the Peace for Hamilton City. Bridget is also involved in the Hamilton East Neighbourhood Support Group and a member of Hamilton East Lions Club. Don takes customer care seriously. Commencing his real estate career in 1993 the hallmark of Don's continued success is his attention to detail and genuine desire to make his client's real estate experience trouble free and enjoyable. Don has received numerous awards and recognition nationally from the Harcourts Group and in his own words "my success can clearly be attributed to the amount of repeat business I do year in and year our. I am appreciative of this support and try hard every day to make sure it continues. My experience and commitment is guaranteed". Glenys started in the real estate industry in 1988. She comes from a background in Management and recruitment and brings with her a wealth of local knowledge having lived in Hamilton since 1960. In an industry which is very competitive, only those with a passion for real estate who have the drive, the determination and the commitment to achieve results succeed. Her aim is to help others achieve their own personal goals, whether you are first home buyers, looking to upgrade, buying an investment property or wishing to sell your home. Glenys with her knowledge and acquired skills will give you commitment and results. Kylie is a new member of the Harcourts Dinsdale team and will be working throughout the Hamilton Area. She is originally from the Wairarapa, spending 6 years in Rotorua before settling in Hamilton. Graduating with a Bachelors from University of Waikato and after spending some time in the farming and print industries, she is ready for a new career. Kylie brings a competitive nature developed from her sporting interest including squash and crossfit but also a friendly and professional work ethic with a great sense of humour. Call her today to discuss your next Real Estate move. 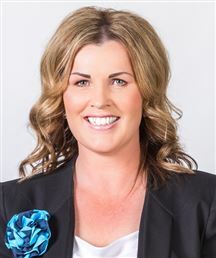 Miranda joins the Harcourts team as a Residential Sales Consultant. Settling in the Waikato 21 years ago, she spent 18 years employed within the NZ Govt Sector through various roles, her final position as a work broker, selling the skills of her clients to employers. This lead her into the private sector as an employment consultant then into sales consultancy selling heating solutions to building companies and architects. Whether you’re thinking of buying or selling, Miranda will work closely with you to understand your needs. Her focus is always about achieving the best possible results for you while exceeding your service expectations. Whether you are selling or buying real estate Rose offers exceptional customer service. Rose is thoughtful to both the vendors and the purchasers – she is a pleasure to work with. With a great attention to detail she will work together with you to enable you to make informed decisions. She has a natural affinity with people which helps to build confidence with her clients. She listens carefully to people’s needs. Having lots of drive and enthusiasm Rose is a valued member of our busy Real Estate sales team. Life experience and a background in sales is a perfect backdrop for being able to help you through the process of either buying or selling a property. Rose’s natural sales skills are complemented by her very infectious passion for selling property. Rose has a strong interest in interior design as well as the property market. She has renovated a number of homes and is happy to share her experience with her clients and will enjoy discussing the best presentation methods with them. Hard working, extremely professional, honest & down to earth Rose’s genuine care, determination and commitment have earned her a reputation for delighting her clients with outstanding customer service. Genuinely working on your behalf to get you the best results. Your Best Choice! Sally believes that being successful in Real Estate is about creating positive relationships for both the seller and buyer at all times. She is wise enough to know that true success is found by collaboration and delivering success to others. Sally has the skills and character to make that happen. The cornerstone to Sally’s continued success with Harcourts over the past years is her profound people skills and insightfulness – resulting in on-going referrals as well as repeat business. She believes her role in Real Estate is about consultancy, professionally directing, guiding and reassuring her clients. Sally recognises the uniqueness of every housing transaction, addressing varying circumstances with ease, being a keen listener, while being focussed on the wants and needs of her clients. If you are considering selling your home, call Sally. She will give you sound advice, set out options, listen to and respect your decision at the same time ensuring you achieve the outcome you want. Renowned for getting results Sharon's focus is achieving the best possible outcome for her clients. Confident and highly motivated, Sharon is a true professional, and demonstrates uncompromising integrity. Sharon is friendly and outgoing and enjoys building relationships with her clients, and her commitment to excellence is second to none. A Goal setter with a strong work ethic, success to Sharon is a planned outcome...not an accident. Born and bred in Hamilton Sharon has an in-depth knowledge of the city and suburbs. This is a huge asset to clients as this means she can deliver the optimal real estate package. Together with a long history in Real Estate, Sharon also enjoys interior design, helping her clients present their property for the market. which enhances her role in selling homes. Sharon has a can do attitude and has the ability to make things happen. She is energetic, driven and passionate about Real Estate and enjoys "bringing people and property together". Delivering a superior service, Sharon is backed by a very competent team and a well established Harcourt's brand. Make your Real Estate decisions enjoyable, Sharon Thomas is an outstanding choice. Vendors will meet the market! Deceased Estate - must SELL!! Your CBD Dream - Definitely! At home on 989m2 section! Make Odette Your First Love. Great buying - must sell! !